Tips and practical advice on how to clean Dickson flooring. How to maintain woven vinyl flooring? Based on extensive research and Dickson®’s expertise and experience, this flooring combines the wear and maintenance qualities of vinyl flooring with the appearance and texture unique to textile flooring. 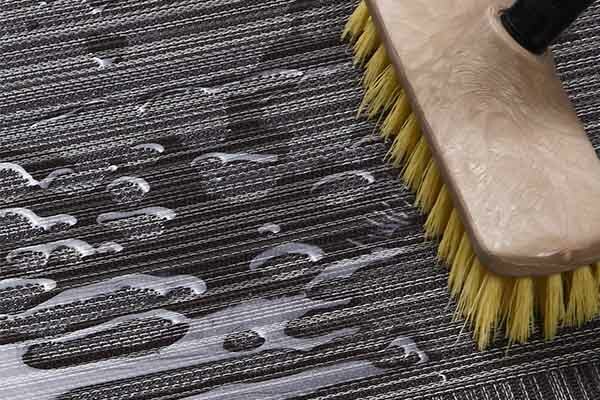 Although its woven structure has an understated relief pattern, the exclusive assembly process used by Dickson® guarantees total impermeability to liquids, dust and dirt. Warp and weft yarns are thermo-welded and hot-jointed onto underlay, preventing the penetration of dirt between fibers, so they stay on the surface. Cleaning time is minimal. 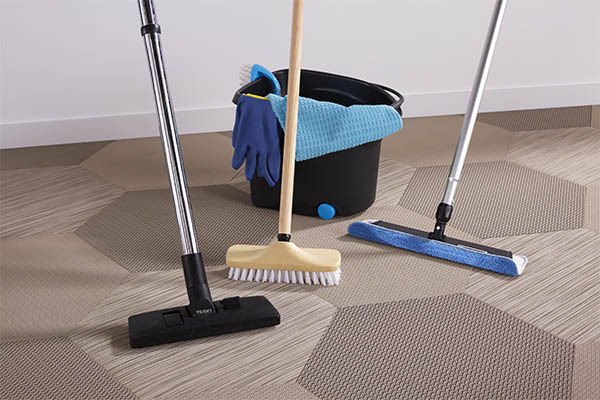 As with vinyl flooring or tiles, routine cleaning is done with a simple vacuum cleaner, a brush and hot water mixed with a neutral detergent. 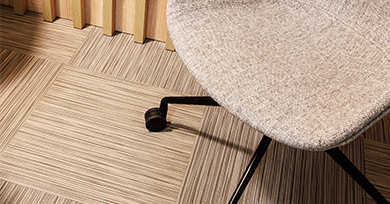 Dickson® woven flooring helps maintain sanitary standards. Rot-free and antibacterial, they are resistant to dust mites, mold and fungi. Their waterproof surface makes the hygienic maintenance of the floor easier and prevents stubborn stains such as coffee, wine, jam and blood. Use Tex'Aktiv Clean to deep clean the product. This product is a powerful stain remover that will remove even the most stubborn stains.